Share accommodation in Melbourne tends to centre around one particular suburb: Fitzroy. So much so, that the suburb regularly ranks as the most competitive place to land a room—34 people listed to each room available at the time of writing—and is one of the most expensive places (outside of Sydney) to share. Unfortunately, the story tends to be much the same with most suburbs that ring the Melbourne CBD, where high prices and intense competition leave many searchers disappointed. So if you’re looking for a place, be sure to keep your options open and don’t be afraid to explore those suburbs that ‘no one rates’. As the second least competitive share accommodation suburb in Melbourne, Brunswick West sees less than a third of the demand of its sister Brunswick East, and only a tenth of Brunswick proper. Prices are also lower in the west, with the average room rent at $201 per week, nine per cent cheaper than Brunswick. A lack of train line could be a potential dampener for some sharers, however, a tram link still offers direct access to the CBD and further north. On the social side, a light sprinkling of trendy cafes and bars in the suburb should be enough to keep residents contempt, if not, Sydney Rd is just a short walk away. Commute time: 27 minutes by tram. While Seddon has in recent years emerged as a popular suburb for buyers, it still fails to resonate with sharers. Despite offering a similar location and lifestyle, Seddon only draws around a quarter of the searches as neighbouring suburb Footscray. 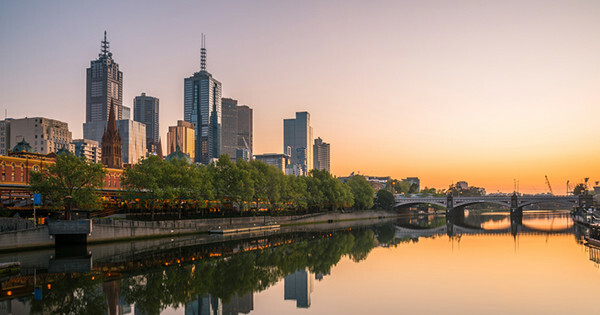 Granted, at $210 per week, average room rents in the suburb are slightly higher than neighbouring areas, however, they could still be when considered ~very reasonable~ when compared to the likes of Richmond or Fitzroy where room prices are 17–33% dearer. With a burgeoning cafe scene, good public transport and wide leafy streets lined with cute cottages, Seddon should be high on every sharers’ list. Caulfield North is the least competitive suburb in Melbourne with only 41 searches made for each property listed during July and August. This despite the suburb being well located, offering good public transport and having an average rent of just $217 per week. To compare, Elsternwick—just next door—sees over three times the number of searches per property listed, and a slightly higher average rent. Conveniently, Caulfield North is just a short distance from shopping districts of Chapel St and Glenferrie Rd, as well as being just 10-minutes from St Kilda beach. The suburb is also home to a number of funky eateries— like Tuck Shop and Ginger & Frank—meaning you won’t have to drag yourself too far for Saturday brunch. Although often overlooked for its more fashionable neighbours—Brunswick and Preston—Thornbury is still great alternative for those wishing to live north of the city. With average room prices around 11–14% cheaper and far lower competition than the aforementioned, Thornbury on paper looks the goods. Although the suburb is on the gentrification path, it’s still grungy enough to keep any self-proclaimed hipster happy. Trendy bars and cafes are sure to keep them well fed and watered too. Public transport in Thornbury is super convenient with trains, trams and buses ferrying the masses to the city and surrounding areas. With half the competition for rooms than that of St Kilda and Brighton, Elwood is the pick of the bayside suburbs. It’s also cheaper than its neighbours with the average room rent at $231 per week. The limited public transport could be a deal breaker for some, with Elwood only offering direct buses to the city. Its inaccessibility, however, could be a positive for some with the tourist hordes staying in St Kilda. With an average room rent of just $164 per week, Reservoir is by far the cheapest suburb on this list—31% cheaper than the city average. Handily, the suburb is also far less competitive than neighbouring areas, with approximately two people looking to each room listed. Thankfully, they are the only categories Reservoir fails to match it with neighbours, as the suburb offers plenty for residents. An abundance of green space, a growing number of trendy eateries and good public transport make this suburb a perfect option for anyone wanting to share or rent. Prices and demand as of 26 September 2016, for up to date information see Value My Room.